Rainin Instruments Method Board Assy 7105-286 Rev-A (TB1 TB2 TB3) . New Life Scientific, Inc. This is a Method Board out of a used component. 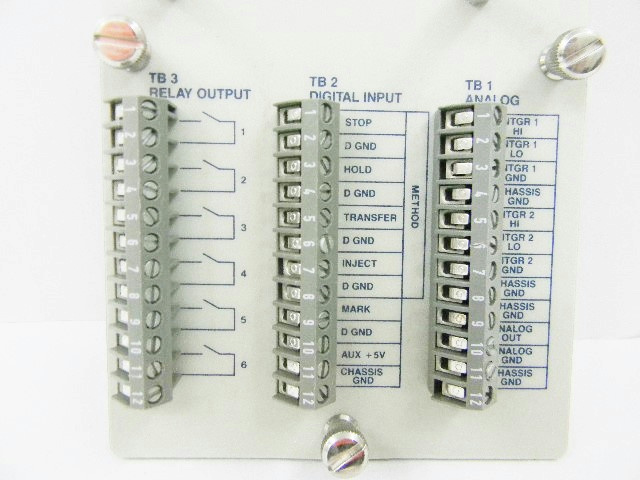 It has 3 stages TB1 Analog, TB2 Digital Input and TB3 Relay Output.